What are the Best Jobs in Nutrition? Interested in a career in nutrition, but don’t know where to start? If you are trying to find a job in the nutrition field, you may want to focus on nutritionist or dietitian positions. The responsibilities of these jobs can vary widely, depending on where you work and whether it’s for a private company or for the government. For example, certain dietitians may provide advice to patients, while others are tasked with meal menu planning in health care facilities. 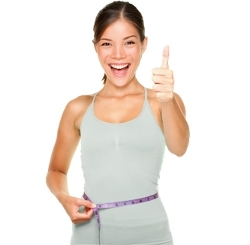 A nutritionist may offer diet advice or even teach others about proper eating habits. As a nutritionist or dietitian, you will probably be doing one-on-one counseling with your patients. Often a doctor will recommend that a patient with health issues meet with you for nutrition advice. For example, you could be required to discuss with a patient his or her diabetes or high blood pressure. With your expertise, you would be able to design low salt menus, or perhaps menu plans that are low in sugar and carbohydrates. Most jobs in nutrition involve dealing with individuals that may have special needs, like young children or senior citizens. This will be especially true if you are working in home health care agencies or public health clinics. If you are employed as a community dietitian, it will be your responsibility to counsel individuals about ways to prevent disease and promote wellness. A substantial percentage of community dietitians are employed by HMO’s (Health Maintenance Organizations), where they help patients learn to eat better. If you your are working as a community dietitian, one of your duties will be to teach people the proper way to shop for their food. Proper cooking methods will also be part of the curriculum. The majority of dietitians have a Bachelor’s degree, so be aware that an Associate’s degree is normally insufficient for getting a job in the nutrition field. You also need to be licensed or certified before you can earn money as a nutritionist or dietitian. Nutrition courses are available at colleges and universities across the country, and you can also study online. A degree in nutrition requires taking classes in chemistry, biology, and physiology, not to mention the study of nutrition and diet. If you do not have a strong background in these subjects, it may be necessary to take additional courses in order to prepare yourself for the rigors of obtaining a degree in nutrition. A wide variety of courses in nutrition are available at both the undergraduate and postgraduate level. As well as taking full and part-time courses, it is also possible to study via online learning or at night school. Consult with your local college or University to see if they offer online courses in nutrition. Bachelor’s degrees in the field of nutrition and diet are common, and some people even pursue a Master’s Degree. If you wish to go into management, a Master’s degree will be a big help. 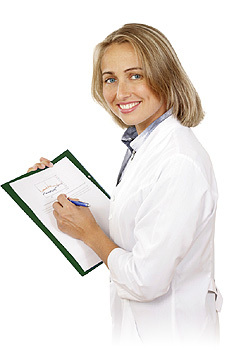 Generally speaking, the best jobs in nutrition are those held by nutritionists and dietitians. Through counseling others on proper eating and food education, you can do a great service to the community. You may work in health care facilities, and daily menu planning is a big part of your job. Be aware that most dietitians or nutritionists have at least a Bachelor’s degree and must also pass a certification exam. Nutritionists can be employed in a range of roles within a healthcare organization, including primary care organizations and Public Health offices. For recent college graduates without experience, first jobs can include assistant community nutritionist, assistant public health nutritionist, assistant child nutritionist or assistant health adviser. Some new graduates in nutrition can get initial work experience by becoming dietetic assistants or health care assistants. This is a very useful way to develop skills in the application of nutrition as it applies to professional practice. For candidates with a few years of experience and an advanced degree, jobs in nutrition include Public Health Policy Manager, Nutrition and Dietetics Coordinator, and Senior Health Promotion Specialist. 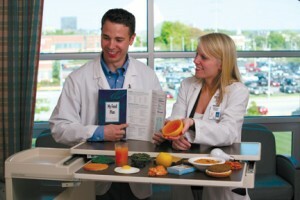 At the end of the day, working in the nutrition field as a dietitian or nutritionist can be a very rewarding career. Because you are helping people learn how to take better care of themselves, you may develop a high level of job satisfaction. In order to get the job that you want, you may want to try registering with an employment agency or signing up with an online job search website. Try to be flexible when you first start out, which may mean accepting a job related to health and diet, rather than a position with the job title ‘dietitian.’ That will come later, as you continue to climb the nutrition career ladder. Survey: How Much is a Nutritionist's Salary?